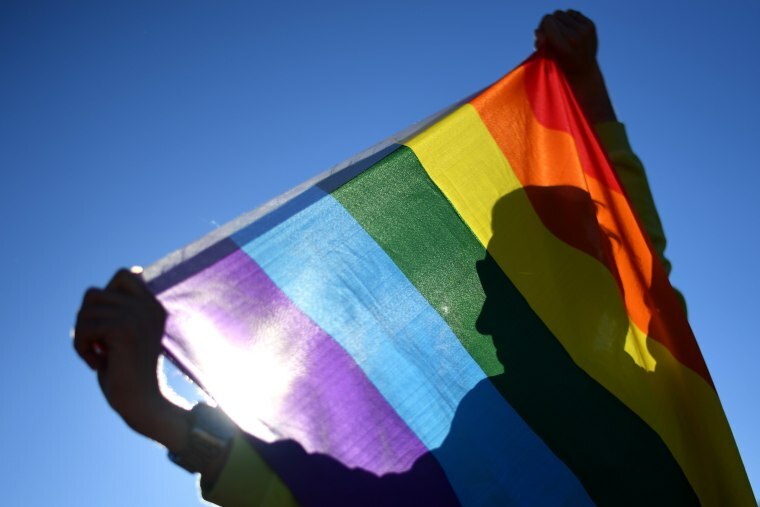 CAIRO - Egyptian police arrested seven people on Monday after they were seen raising a rainbow flag at a concert, security sources said, in a rare public show of support for lesbian, gay, bisexual and transgender rights in the conservative Muslim country. Security sources said the seven were arrested for “promoting sexual deviancy,” a euphemism in Egypt for homosexuality, after they were seen on camera raising the rainbow flag at a Mashrou’ Leila concert, a popular Lebanese alternative rock band whose lead singer is openly gay. The public prosecutor has not yet announced a decision on whether formal charges will be filed and a case brought to court. The largest crackdown on the LGBTQ community in Egypt took place in 2001, when police raided a floating disco called the Queen Boat. Fifty-two men were tried in the case, which drew widespread criticism from human rights groups and Western governments.